It seems like for the last few weeks I’ve seen Facebook status after Facebook status counting down the days until the end of school year. Friends that are teachers, parents and students… they’re all ready for summer! As far as school goes, I’m not quite as lucky. The BSN program I am in has classes that run through the summer. I could technically take it off, but I’d rather get my degree a few months earlier! Still, there are lots of things about summer that I am looking forward too. Warm (and hot!) weather, the tomato plants we have growing on our balcony, the abundance of in-season fruits, and of course summer BBQ type foods. One of my top 10 favorite foods of all time is barbeque pulled pork. I can’t think of time when I was NOT in the mood (or easily swayed into the mood) for pulled pork. Especially after I discovered my new favorite rub and sauce last summer. And, to me, it’s not a proper pulled pork sandwich if there isn’t a fairly healthy heap of coleslaw on top. 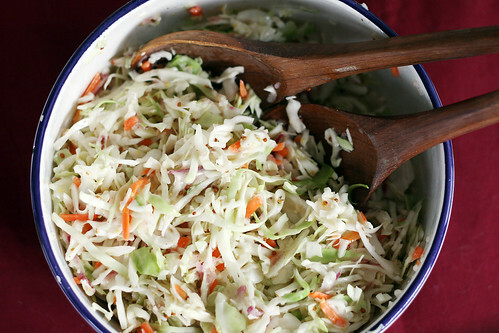 I think there are a fair amount of people out there that think that they don’t like coleslaw. One of the biggest reasons I hear for people not liking it is the loads of mayonnaise that goes into many slaws. But people, there are LOADS of coleslaw recipes and many have little to no mayo. And to be honest, those are often the tangy kind that win my heart. 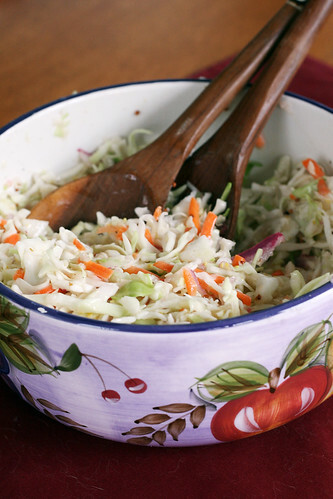 Like this Tangy Mustard Cole Slaw. 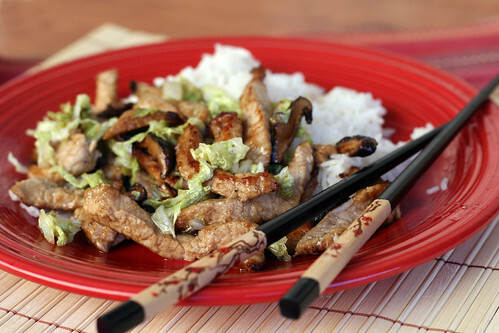 The first time I made this recipe with the small amount of mayo it called for. This time I suspected since the amount was so small and the purpose was really to add just a hint of creaminess that I could replace it with Greek yogurt or sour cream and it would still work. And it did. 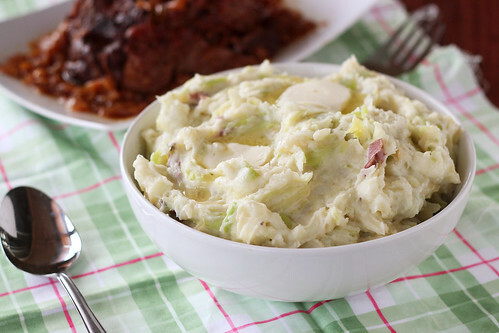 If you think you don’t like coleslaw, give this one a try! It’s tangy and creamy and delicious, the perfect topper for a pulled pork sandwich! 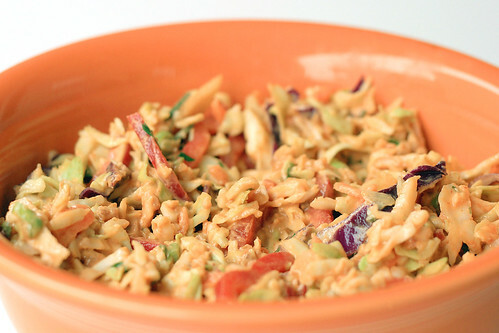 In a large bowl toss together the cabbage, red onion, and carrot. In a glass liquid measuring cup, whisk together the vinegar, sugar, mustard, yogurt, black pepper, and red pepper. 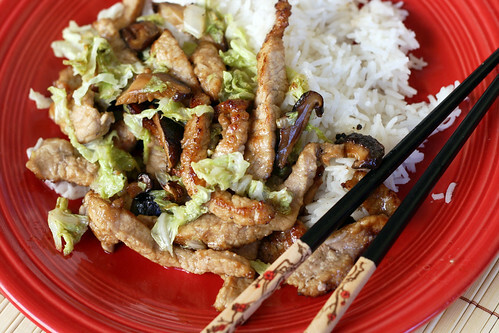 (Wait until just before serving to add the salt, otherwise it can pull the water out of the cabbage and make everything runny). 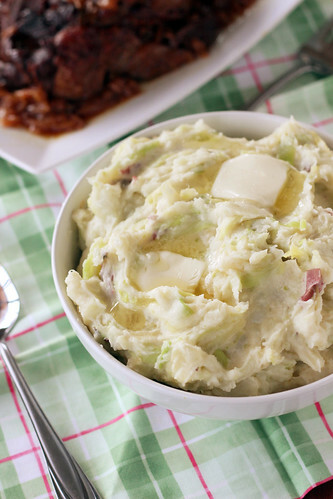 Pour the dressing over the cabbage mixture and toss to evenly coat. Cover and chill for at least 20 minutes before serving. Just before serving, add a sprinkle of salt to taste. Today is a follow up on yesterdays Asian Braised Short Ribs. 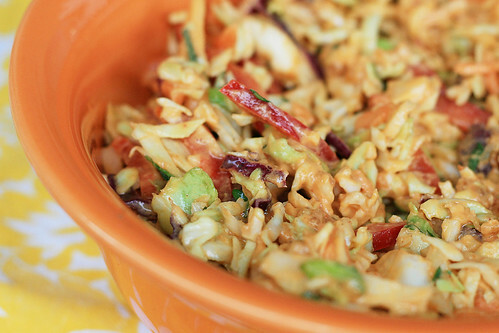 I have no story to share but I definitely wanted you know about this awesome slaw. It was spicy. It was savory. It was nutty. It was awesome. I used to be pretty precise when it came to eating, I would work from one area of the plate to the other, being careful not mix. But lately I’ve found myself doing a lot more mixing. And this was perfect for that. I channeled my inner BBQ tastes and put the slaw right on top of the ribs and rice. It was the perfect matchup. In a large liquid measuring cup, whisk together all of the dressing ingredients. Cover and chill until ready to use. In a large serving bowl combine the cabbage through mint. Toss together to evenly distribute. Pour the dressing over the slaw and toss to coat. Sprinkle with salt and pepper to taste and serve.